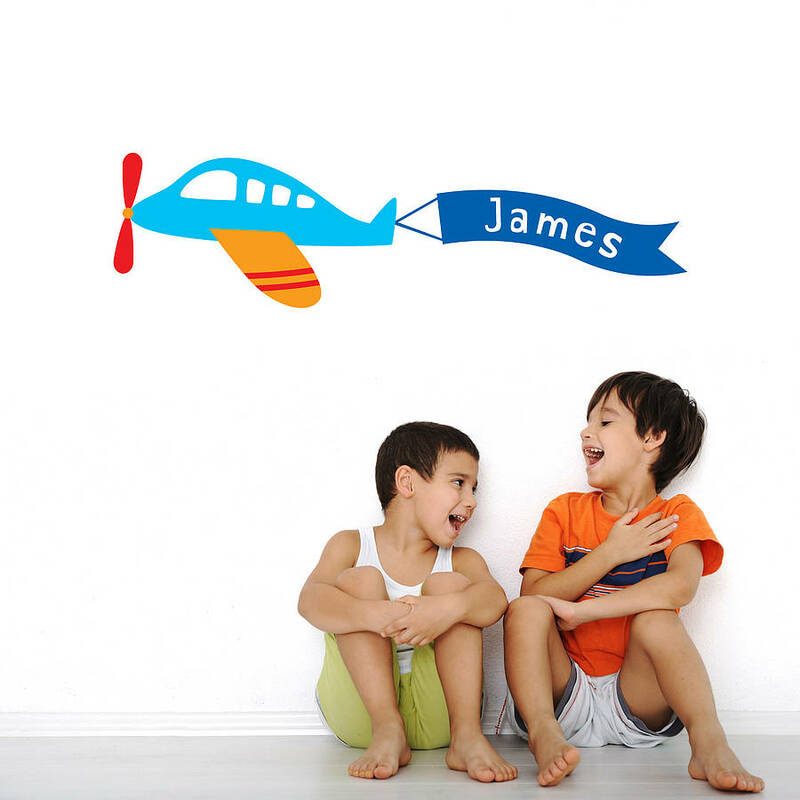 Personalised plane wall stickers, perfect for children's bedrooms and playrooms. Our full colour premium matte vinyl wall stickers are perfect for children's bedrooms and playrooms. 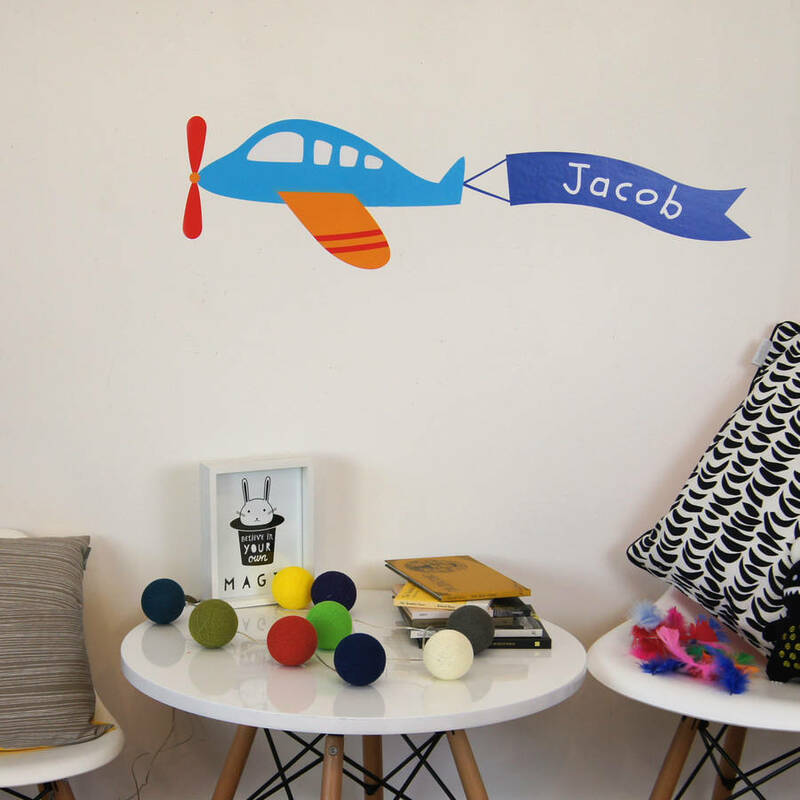 Our personalised plane wall stickers can be wiped clean and repositioned and reused again without damage to your walls or to the stickers. 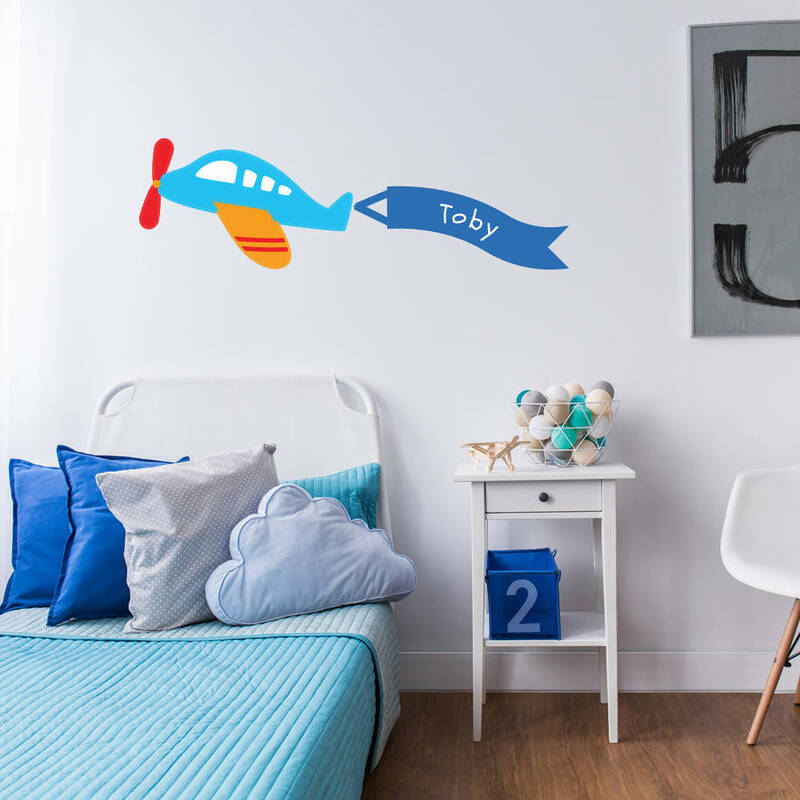 Simply add your child's name in the required drop down menu. 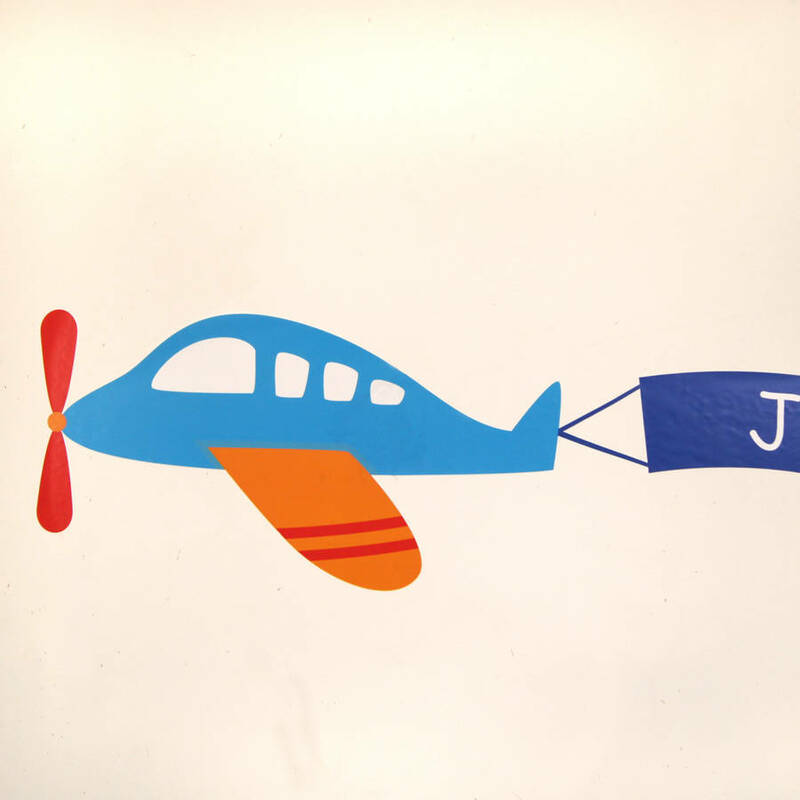 All of our stickers are proudly made in Great Britain to order.